Positive Discipline begins at birth and lasts a lifetime. 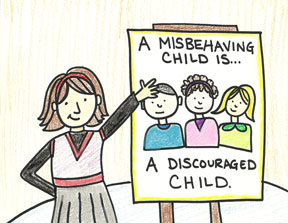 That’s right, it’s never too early or too late to use Positive Discipline, because it is based on mutually respectful relationships in which you respect your child and you respect yourself. With Positive Discipline, the emphasis is on a balance of firmness and kindness, and on providing respect for both adults and children. Positive Discipline, because it is neither permissive nor punitive, rings hope, increased skills, and love to your family. What Do You Want for Your Child/ren? **There is no child care for this program. Little Hands & Me Parenting Network understands that childcare is difficult to access and welcomes babies in arms. However, due to experiential learning activities please make a conscious effort for toddlers, preschoolers and older children to have care outside of the center. Thank you for understanding.